These are words that people use to describe the strike and ensuing battle with a Tarpon. Because of its strength, stamina, and fighting ability, the Tarpon is one of the World’s premier game fish. 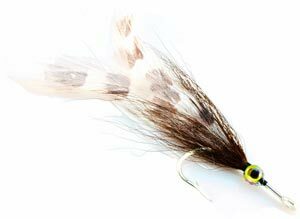 They also have such large numbers as they are not a target of commercial fisherman so there is no fear of hurting the species by catch and release fly fishing. Tarpon fishing can be incredibly frustrating at times but many people say that if they could only fish one species for the rest of their life it would be a Tarpon. The information below is not general information in the traditional sense. We give you the background information but the focus is more on what you need to know about where, when, and how to fish for them. Tarpons are large fish of the genus Mega lops. There are two species of Megalops, one native to the Atlantic, and the other to the Indo-Pacific oceans. We are only interested in the Atlanticus. Megalops Atlanticus is found on the western Atlantic coast from Virginia to Brazil, throughout the coast of the Gulf of Mexico, and throughout the Caribbean. Tarpon are also found along the eastern Atlantic coast from Senegal to South Angola. They survive in brackish waters (mix of salt and fresh waters) and habitats with low oxygen content due to their swim bladders with which they can breathe air. They roll as they swim coming up for a sip of air every few minutes. The habitat of the Tarpon varies greatly with the developmental stage they are in. While only microscopic at birth, Tarpon grow to lengths of more than eight feet and weigh more than 280 pounds. The average Tarpon weighs about 75 to 85 pounds, with many caught fish weighing well over 100 pounds. Some catches weigh more than 200 pounds but these are not the normal catch. A fish more than 100 pounds is generally a female, but no one is sure why these larger catches are not equally distributed. They grow very slowly, after a rapid initial growth of about 12 inches in the first year. It takes 8 to 10 years to reach sexual maturity and is believed that Tarpon can live 60 to 70 years. The oldest Tarpon in captivity lived to be 63 years old. Their habitats are characteristically warm, shallow, dark bodies of water with sandy mud bottoms. They also find their way into freshwater creeks, channels and streams. As they progress from the juvenile stage to adulthood, they move back to the open waters of the ocean, though many may remain in brackish and freshwater habitats. Small, mid-size or large Tarpon that like backwater mangroves, canals, brackish lakes, lagoons or the flats. They are really just hanging out. They may or may not leave, and are almost ready to move out and reproduce, migrate, etc., they just haven’t done so yet. Small juvenile fish that is incredibly fun to catch. They are in the safety of the mangroves and the flats to avoid large predators. Many believe that Baby Tarpon remain in safer back waters until they are about 5-8 years old, but no one has proven this. They are voracious eaters and highly sought after by anglers. 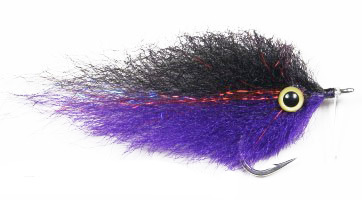 If you are just getting started with Tarpon fishing on a fly, this might be the way to go. Mid-size to large fish which essentially don’t migrate or haven’t yet. They stay in one area where food is plentiful (filleting tables on a dock, under bridges or near a waterfront restaurant). Most agree that they will eventually leave possibly to reproduce and become migrators, resume migration but it’s hard to say for sure. There are 60 lb. Tarpons by the Marina near Government Cut in Miami every day and most times when someone is trying to catch one, they get spooled, tangled and cut off in about 5 minutes. This is what we dream about. A school of Tarpon 20-30 strong each weighing about 130 lbs. swimming across the flats. It’s a fly anglers dream! These are the large adults that have been in deeper waters reproducing and are traveling in search of warmer waters and a new source of food. They’re hungry, aggressive and will destroy your rod and reel in no time if you let them. The Migration in the spring brings Tarpon from the warm deep waters in the southern hemisphere to the southern Florida, Florida Keys, the Eastern side of Central America, Gulf of Mexico and West Indies. No one knows really where Tarpon breed, some think they migrate from the deeper waters into the flats in spring. Others believe the opposite and think that the breeding occurs in the deep waters of the south Atlantic Ocean somewhere between Africa and South America. Some pretty big females show up near Belize and northern Mexico in late summer which makes the local guides think that this is the Tarpon breeding place. The general consensus is that no one really knows for sure. They prefer warm weather so it only makes sense that after they breed in the late spring or early summer they move north. 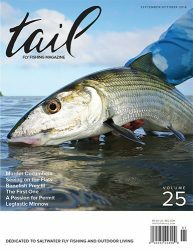 The winter season (cold season) begins in the southern hemisphere around May, so the Tarpon migrate following the warm weather beginning a new summer season in places like Key West, Miami, Mexico, Belize and Costa Rica. The logical answer is that they are just following the food; if something becomes active or moves, so do the Tarpon. Aside from the hemispheric migration there are some other special events that Tarpon fishers look forward every year. The Paolo Worm hatch in the Florida Keys, the Shrimp Run in December in Miami, what some call the Spawn in the Gulf of Mexico-Caribbean side of Central America in August and September, which is probably the end of the spring migration north. In the Southern Hemisphere the Migration begins in November and lasts through March or April. Depending on what type of Tarpon you are fishing for and where you are fishing will determine the rod, line, leader and fly you use. The general thought is 7-8 wt. for smaller Tarpon and 10-14 wt. rods for the larger fish. We like a 12 wt. 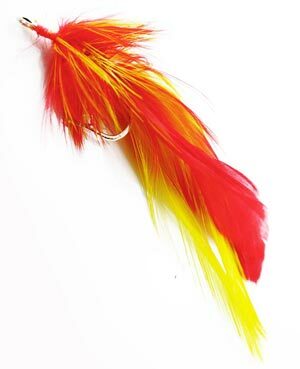 for Tarpon in the Florida Keys and Miami/Biscayne Bay and an 8-14 wt. for Thousand Islands and west coast of Florida. The current record is held by Jim Holland Jr. from Chassahowitzka, Florida, who caught a 202 lb. monster with 20 lb. tippet. Costa Rican guides laugh if we try to use anything less than a 12 wt. and they’re not just messing with us, we’ve seen some big Tarpon rolling around there too. There have been some record Tarpon caught near there as well. There is a 3 way tie for a local record all weighing 283 pounds caught on Sherbo Island (Costa Rica), Sierra Leone (western Africa) and Lake Maracaibo (Venezuela). Big fish but not caught on a fly.